Tooling: What, Where and Why? Plunkett Associates’ experience takes us from low volume into hundreds of thousands, or put another way, container loads! We would be the first to acknowledge that we lack a track record of dealing in millions, a specialist area in its own right! The expectation that goes with mass production is one of low unit prices, after all the quantities are high! Whilst this is true the corollary is that to achieve these unit prices there is an associated tooling or non-recurring cost that makes it possible. In the case of injection moulding, a low volume tool might well be manufactured as a single cavity in aluminium. However, if the quantities are going to run into hundreds of thousands then the tooling will certainly be steel and the most significant question will revolve around the number of cavities and the impact this will have on the unit price. If the tooling and moulding takes place in the Far East, then how these parts are delivered is also significant. For small items it is possible to ship tens of thousands in a single box by airfreight. However, as the part size grows this becomes a greater and greater percentage of the cost, such that alternatives have to be considered. The only real options are to ship by sea, relocate the tooling, or initiate the tooling closer to the delivery point, These in turn will be influenced by any associated work, such as assembly, that may be planned. Shipping sea freight from the Far East to the UK involves between six and eight weeks, a considerable time to factor in to any production schedule. However if the volume or weight is significant then serious savings can be made, especially if production requirements are known and delivery schedules can be planned in advance. Relocating the tooling is another option, so long as it has been specified from the outset. 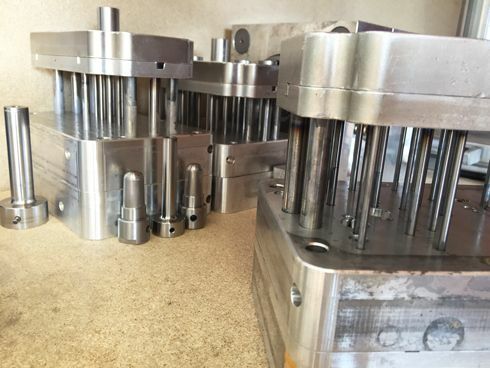 This requires a significant batch to be run initially to fully validate the tooling and provide stock during the time the tooling is in transit. Whilst tooling can be airfreighted, the cost of moving anything from one to five tons by air can significantly dent the short-term advantages. Thus serious consideration is required at the outset as to the trade off between tooling cost advantages in the Far East and shipping costs across the life of a product. Then there is Brexit and currency exchange rates to consider. Anyone able to predict these at the moment is doing extremely well and is probably not in manufacturing! As we manufacture both in the Far East and the UK, we are well placed to supply costed options for high volume products across a range of processes. Together with our shipping partners, we can then integrate this manufacturing ability into a full logistics proposal for your product.